tasks like reading, writing, discussion, assessment etc. and give more productivity and fun. Is a teacher device with a central role in the classroom system: register, allow / block access students etc. Is a student device for wireless education. It connects to the same WiFi network as the MultiBoard. Its role is limited as a student. mClass software connects Visconte tablets and MultiBoard into a wireless and interactive classroom, allowing a new type of digital education. Difficult concepts (like space technology) made easy with the use of 3D view images, schemes and modelling on big screens and with apps like Corinth Classroom. Computers enhance involvement during the studying process and increase memory efficiency by the use of vivid images. Apply videos, games, images, simulations and websites like the Discovery Channel. Inviting guest-speakers to talk in class via Skype and add expertize or practical examples to a discussed topic. 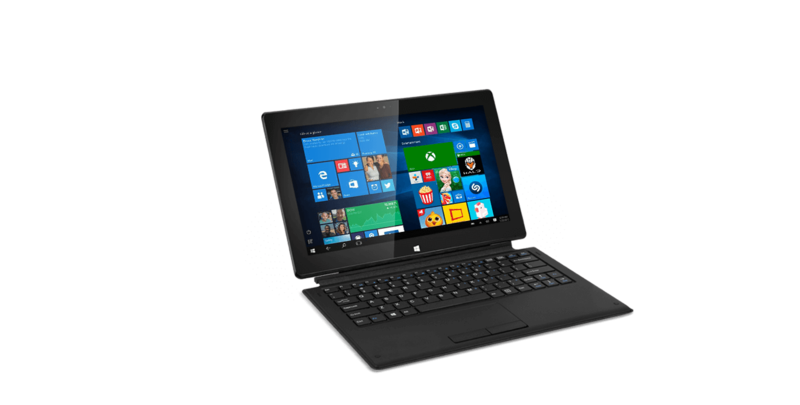 Use of a 2 in 1 tablet PC with detachable keyboard supports learning at any time and place. Like at home, work, transport etc.